ENA Greek street food is the latest addition to be confirmed for Sunshine Plaza’s Riverwalk dining precinct, due to open in July this year. This will be the fifth ENA restaurant to open in Australia and the first in Queensland. 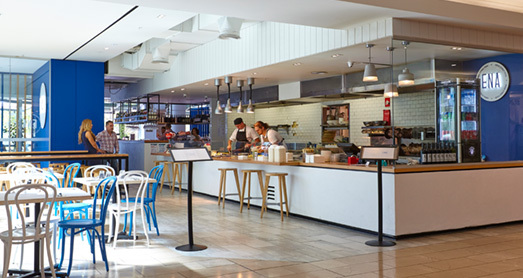 “We are very excited to be opening our first Queensland restaurant at Sunshine Plaza and can’t wait to open the doors and share our wonderful food with customers.